One of the most invisible emotions is Shame. You can be embarrassed about some part of your body or about something you have done. You can feel this way for other people or for a group of people. Shame includes a lot of taboo, secrecy and keeping quiet. It can literally choke people and make them feel powerless. 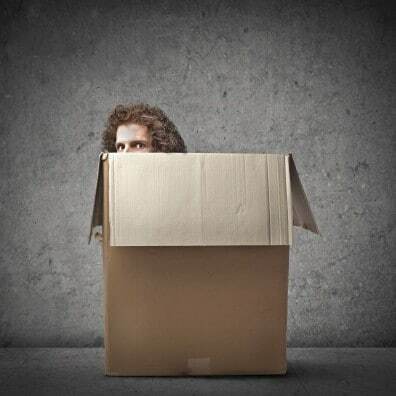 The big disadvantage of shame is that people keep it bottled up as a big secret inside. They don’t talk about it and it causes them to retreat. Shame is often an important cause of shyness and not being able to talk to other people. Shame goes even deeper than feelings of guilt. With feelings of guilt you suffer because of mistakes you have made. With shame, you have the feeling that you are a mistake. Your self-worth is often hard to find when there is a lot of shame dwelling inside of you. People with BDD are really familiar with this. BDD = Body Dysmorphic Disorder. They are convinced that they are ugly and suffer intensely because of it. These people usually stay inside and socialize with other people as little as possible. The cause of this often stems from comments made to them about their appearance during their youth. Those comments hit so hard that they have taken on a life of their own. According to Prof. Brené Brown, men and women appear to have different causes for shame. 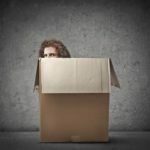 Women especially experience shame when they don’t fulfill the ideal: when they don’t look like Barbie or when their children, house, desk, or whatever else, is not as it should be. Men feel shame most when they show weakness. Sometimes an entire village or church congregation unconsciously carries shame for something in its history, even for an entire nation! I call this a “community of shame”: you all communally feel ashamed about something. This is a major source of taboos and makes people be on guard. They can then suddenly become very heated or tense if something is said that involves that history, because it touches their feeling of shame. It can be a bit of a surprise when you innocently ask questions in that direction, such as during your first visit with your in-laws. When you are part of such a “community of shame”, you can slowly but surely get this out of your system with the MIR-Method. One of the steps especially directed at this is step 3: “Detach Father. Detach Mother.” By doing this you also detach yourself from shame and other emotions which influenced your father, mother or their parents and your whole family tree. With step 4: “Clear meridians”, you work on your meridians, including the Small Intestine meridian and the Circulation meridian, both of which become disrupted when you are ashamed. You slowly detach yourself from all the taboos and shame lurking within, including your national or church’s community of shame. Please note: In order to deal with shame within yourself, follow all 9 steps of the MIR-Method! What “communities of shame” can you think of? And what would it be like if they all slowly but surely erased their shame? Leave a reply below. Thank you for reading and I hope it will help you release all the shame that may still be inside you! P.S. Feel free to forward this article to other people! You will find the icons for Facebook, Twitter and Linked-in on the left and below. Thank you! in the indian context i can think of ‘women’ as a community though they are a sub-group of the whole community. especially in a traditional patriarcal society ‘little self worth’ syndrom is passed on to the daughters from mothers. in fact, dauthers are oftern forced, emotionally blackmailed, given a secondary status & are often reminded of the same even if the mother/parents are not out and out cruel. it must be a mechanism in the society to create a submissive serving class; the members of which are supposed to have shame! i liked the ‘Erase shame’ paragraph very much. till one is suseptible to be pushed into shame – worthlessness – slavery by the way of being or remaining unaware, the mechanisms/systems in the society powerful and would continue doing exactly that. to be aware on different levels of one’s existance MIR is GOOD! Yes, and that is exactly why I am so happy that the MIR-Method is picked up by so many women! 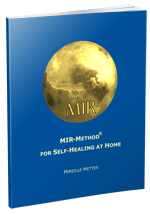 About 80% of the people that use the MIR-Method is female. Fortunately more men are joining too. May we conquer shame and regain our self-worth! Greetings and thank you for your kind words!